According to The Telegraph, nothing would make William Shatner happier than to traverse America in a spooky-looking tricycle. In partnership with custom bike makers American Wrench, Shatner is helping to design the “Rivet,” a three-wheeler motorcycle, then ride it from Chicago to LA. The Rivet—which The Telegraph notes “has a steampunk edge to it”—purportedly takes its aesthetic cues from the B-17 bomber, but to the untrained eye, it might look like Batman’s recliner. 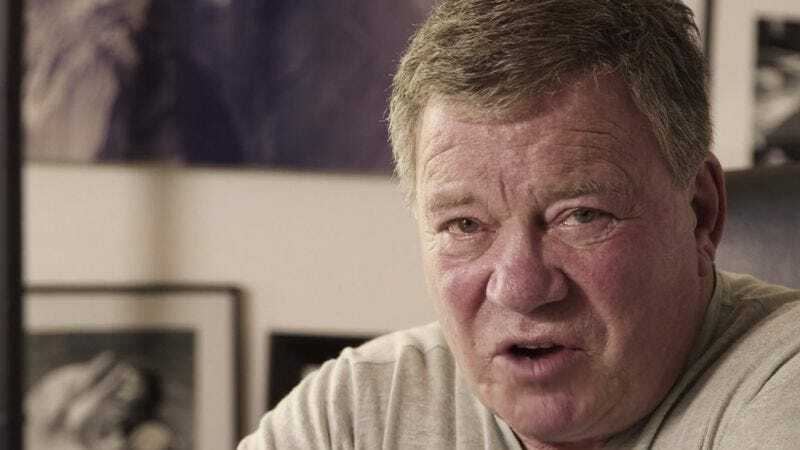 In a promotional video documenting the collaboration, Shatner says he likes the design, but then suggests that a canopy, second seat, flamethrowers, and a wheelie-bar be added. While it’s not clear what prompted this unique alliance, Shatner definitely feels qualified to direct the development of the Rivet, because he saw a beautiful airplane wing once—or something. For its part, American Wrench presumably is just doing whatever the hell Captain James Kirk orders it to. Who wouldn’t? Shatner explains that, while he has crossed the country before, he has never done so on a motorcycle. “Why don’t you come with me?” he beckons, falling just short of pointing to the “Reserve Yours” menu button at the top of the Rivet website. If you’re very lucky, perhaps someday you’ll be able to ask your grandchildren if you’ve ever told them about that golden summer you spent accompanying William Shatner in a cross-country convoy of garish tricycles, to which they will sigh, “YES” before quickly leaving the room.